Welcome to Talk Nerdy to Me! A series of fireside Slack-Chats where Pound & Grain’s resident tech geniuses and other smarty pants explain complex development systems and best practices to a creative person. In today’s edition, our Group Account Director Dana Harkness tells us what in the world does a digital producer do? What’s it like being a managing director of client services? Which tools do you use for project management? And most importantly, how do you keep a smile on your face while putting fires out all day? Let’s hear it from the wearer of many hats, herself. Ivana: What do you do as the Group Account Director? Dana: My role is a mix of client relationship and growth management, support and development for the producer team, and managing my own projects. Most team members at Pound & Grain wear many hats. Ivana: The client relationship is an important part of your job. How do you ensure the client is happy while balancing the needs of the agency? Dana: Two huge parts of building a good relationship with a client are communication and transparency. You need to be able to communicate effectively so both parties can understand each other’s points of view and perspective to create the best work. 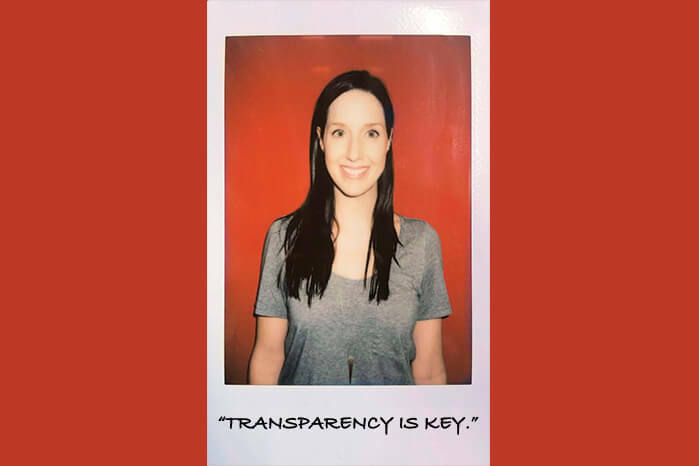 And transparency is important to ensure that your client feels like they have a really good understanding of the thinking, decisions, time and effort that is going into our work/process. Ivana: What’s the difference between a digital producer and a broadcast producer? Dana: A broadcast producer has a specialization in television production. When you work on TV spots there are different factors that need to be considered in the process including telecasters approvals, different storage requirements for the spots and different requirements for talent costs. Digital producers have a diverse role because they need to understand and manage different types of digital projects – from website, to digital campaign work, to social media management. But because the digital space is always growing and evolving, being able to hone your skills around brand and video production in the digital space is also incredibly valuable. Ivana: What does a digital producer do? Dana: Every day is different and I could guarantee you that if we asked every producer in this agency, they are all working on a different combination of projects daily and weekly. Simply put, we are the main point of contact for a client and we manage the timeline, budget and scope of projects. But because the digital landscape is constantly growing and evolving, it’s really about taking those fundamental elements of our role and figuring out how to apply them to different types of digital projects. Every project has a new problem to solve and that makes the role both challenging and exciting. Ivana: What do you look for when hiring a digital producer? Dana: There are a few key items that I look for when hiring a producer. A top priority is that they have previous digital project management/production experience, and I also really love when people have agency experience because I feel like they better understand the hustle that is required for our work. Also, it’s not required, but if someone also has some client service experience and a marketing education background, that’s a bonus. But at the end of the day, those items get them into the interview. From there, I try and see who will fit well with Pound & Grain’s culture and will live by our five rules. Ivana: What’s the most important thing when it comes to managing a team of producers? Dana: I think the most important thing is making the time to listen to your team and help them solve problems and grow in their role. Ivana: Which tools, programs, software and/or resources do you use and have implemented across the team? How have they helped? 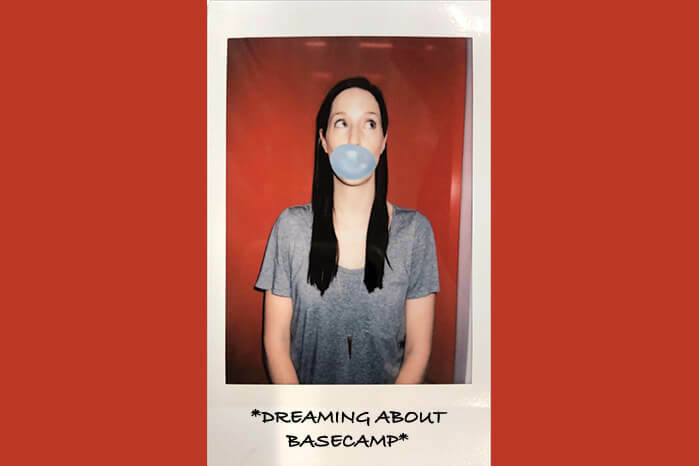 Dana: For client and project management, I love Basecamp. This is a project management and communication tool we use across many of our clients and I like that you can store all project related information in one space. I also like the transparency of it because everyone can access and view any/all information related to the project. For my personal use, I really like Wunderlist & Evernote. Wunderlist is a list-making app and I love the level of detail you can add to your lists and it also has reminders/alerts that you can set if you want to remind yourself of a to-do list item in a week or two. And Evernote is also amazing. I use it every single day to take all my project and meeting notes. I never take meeting notes on paper, they’re always in Evernote. Ivana: What’s something you’ve recently learned that’s been a game changer? Dana: I am trying to remind myself that there is only so much time in the day, and as long as you are focusing that time on the most important things, you are doing the best you can do. Ivana: Is the name of the game structure or flexibility? Dana: It’s structibiluity. You need to know which muscles to flex to get the job done well. I am a big believer in consistency. Meaning, I care less about the approach someone takes to managing their project (there is more than one way to get a job done well) and I care more about creating a consistent experience for our clients. But I think flexibility is also important and critical to working in a digital agency environment. Ivana: What is the most challenging thing about your role? Ivana: What do you like most about your role? Dana: I love that in my role I get to work with all the different departments of our agency. I love that I get to be along for the full ride from that first discovery meeting, through to the completion of the project. Ivana: What are you excited about when it comes to the future of Pound & Grain? Dana: I have worked at Pound & Grain for just over three years now and it’s so exciting to see how the agency has grown and evolved in that time. We have had the opportunity to work with some really great clients on some pretty exceptional work. It’s exciting to set goals/challenges for ourselves as an agency and see what we can accomplish. Thanks for taking some time away from your busy day to chat with us, Dana! And thanks for constantly keeping us on track.